With their pumping selections of tight riffy guitar tunes, BLACK LABEL blend high energy performance with master musicianship creating a powerful yet smooth sound. Longevity and a consistent delivery of slick shows has lead to a large and growing fan base throughout Australia with many of their you tube tracks gaining thousands of hits world wide. The band powered by Gibson & Marshall, Ampeg & Sonor, is fronted by Steve Mulry, brother of the late great Ted Mulry. Bred from the same stock as Australia’s greatest rock acts AC/DC, ROSE TATTOO, THE ANGELS & THE SCREAMING JETS, Black Label have supported these bands on many occasions (AC/DC excepted) and every performance bulges Aussie Rock’N’Roll muscle. Regularly picked to play at major Sydney motorcycle & tattoo shows. 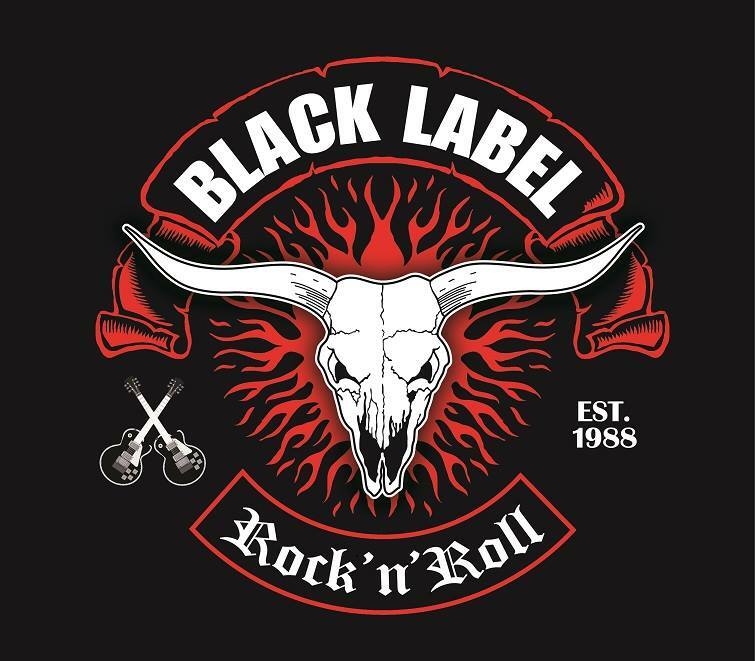 Black Label have played hundreds of gigs to thousands of fans. Black Label have 4 studio albums – “The Dealer”, “Lawless”, “Sevens Deadly Sins” (CD/DVD) & “Blood Money” and 2 live CDS – “Live” & “Booze, Blooze & Tattoos” to date. The live albums feature songs recorded at Campbelltown radio station C91.3 and around pubs, clubs and bike show around Sydney. Seven Deadly Sins (WAL7007) was released NOV 6th 2005 through Bonza Records & Rajon Distribution Pty Ltd (Sony BMG) as a CD/DVD package with a 7 track CD and DVD with 3 music videos and interviews with the band, Rose Tattoos Angry Anderson & Pete Wells as well as Live To Ride.